What is a screwball comedy? If you would like to see for yourself, some of Hollywood’s favorite “screwball comedy classics” will screen this weekend. The second annual Classic Film Festival will be held at the McKinney Performing Arts Center (MPAC). The three-day festival will screen five films starring movie idol Cary Grant. There will also be informative talks, live music and more. The festival opens at 7:30 p.m., Friday, Aug. 19 with a discussion of screwball comedy by Bart Weiss, artistic director and founder of Dallas VideoFest. His talk will be followed by a screening of “Arsenic and Old Lace” (1944), featuring Cary Grant as a theater critic. He discovers that his sweet, elderly aunts have homicidal tendencies–on his wedding day, of all days. Saturday, Aug. 20 there will be a 4 p.m. program followed by a screening of “My Favorite Wife,” (1940). Grant plays a recently remarried widower whose late wife (Irene Dunne), presumed dead after seven years, suddenly reappears. Classic film fans are invited to join the fun by dressing as one of their favorite screwball comedy characters. 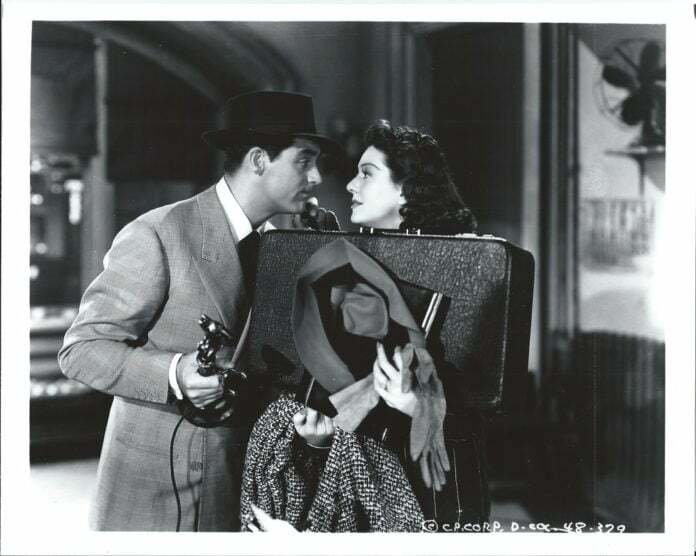 Red carpet photo ops will be available from 6-8 p.m.
At 8 p.m., special guest and TV legend Bobbie Wygant will introduce the screening of “His Girl Friday” (1940). Ms. Wygant and her archivist, filmmaker Erik Clapp, will discuss her celebrated career in broadcasting. She has spent 66 years with NBC 5 (formerly WBAP TV). In the film, a newspaper reporter (Rosalind Russell) is drawn back into a relationship with ex-husband and former boss (Grant). He’s trying to stop her from marrying another man. Sunday, August 21 at 2 p.m. “Holiday” screens, starring Grant and Katharine Hepburn as star-crossed lovers in this 1938 film. At 4:30 p.m. there will be a screening of “The Philadelphia Story” (1940), starring Katharine Hepburn as a socialite who attracts attention from a reporter (Jimmy Stewart) and ex-husband Grant as her wedding approaches. The McKinney Dance Band will perform from 2-3 p.m. Aug. 20 in the MPAC Courtroom Theater. The theater is located at the former Collin County Court House. All McKinney Classic Film festival ticket holders will be invited to return after the final screening for the weekend’s closing party, which includes refreshments. General admission tickets are $10 per film. Film Buff tickets that include admittance to all five films can be purchased for $45. All tickets include entrance to the closing party on Aug. 21. To purchase tickets call 214-544-4630 or purchase online at www.mckinneyperformingartscenter.org.